BOO... how could this be scary! 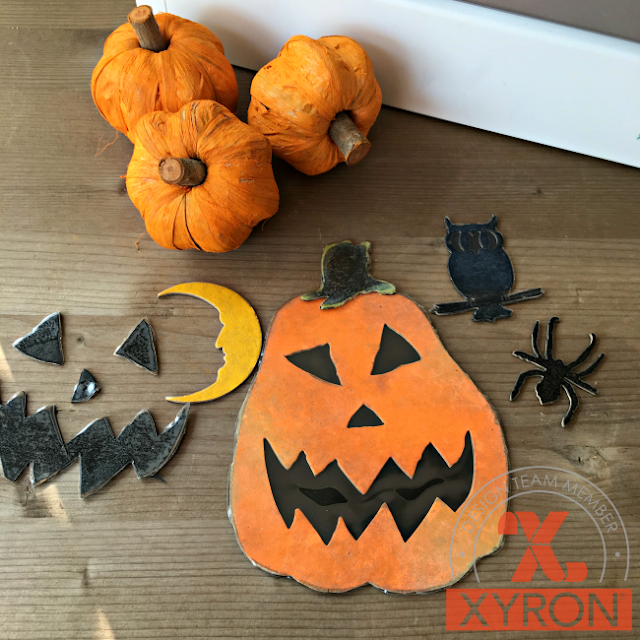 This week the Xyron Team is showing off LAMINATE! 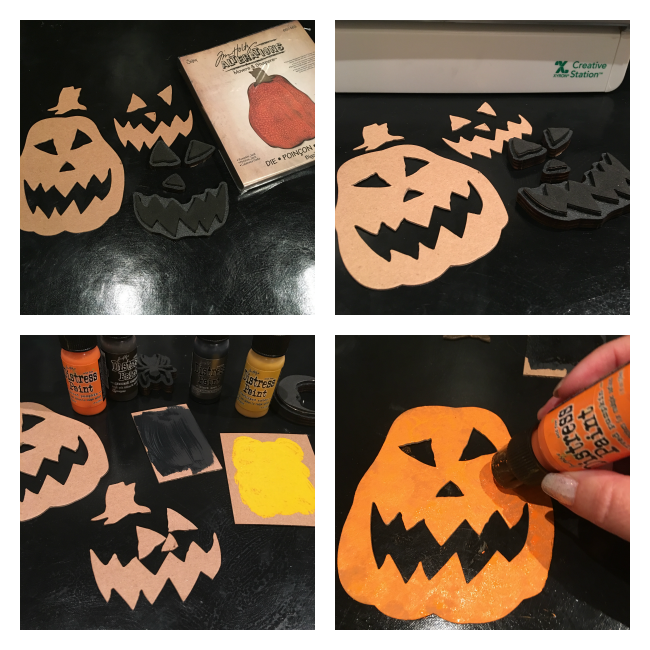 I have been dying to make some pumpkin magnets! So I did! 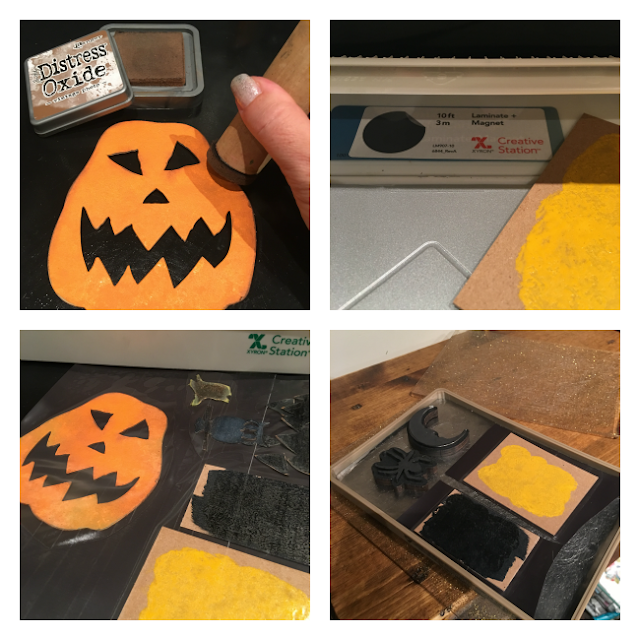 I could have kept going with my laminating my Halloween Dies but one must exercise restraint. 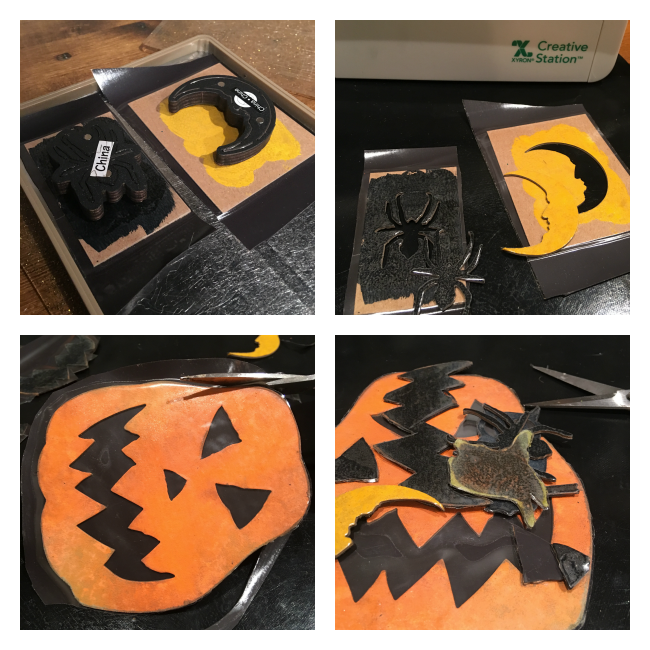 After all, this is my first time making Halloween Magnets. I cut my pumpkin and face first. I wanted to have the ability to ink the way I wanted. But I also did a couple of cuts pre inked too so I could try it out. It's all about experimenting! I did ink up my pumpkin and add a little distressing to the edges. Get the pieces ready... they are going through the Creative Station! With the inked up and already laminated chipboard ready to be cut... here's where I have no idea if it will work. To keep control I cut facing down. After all, these are laminated and I can't go back and ink! IT WORKED and the rest are easily trimmed. I can't believe how freakin' adorable and easy these are. They took no time to make and just think of what you can make. 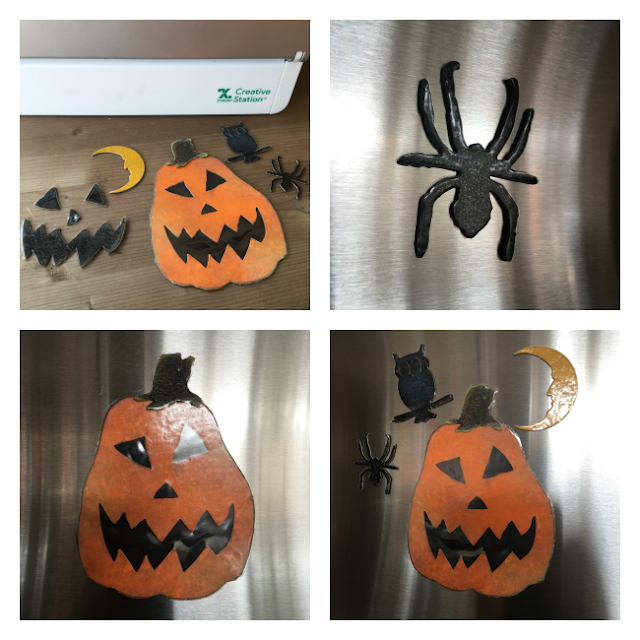 These adorable Halloween Fridge Magnets are made with my wee great niece in mind. This is her first Halloween and at 7 months she's too little for all the magnets. But the pumpkin is for her. Follow the Xyron Team all week to see what they are laminating!